The tale of "How I Met Your Mother's" Ted Mosby meeting the love of his life has been hilariously long and winding, but CBS isn't done with the concept. According to reports, there's a possibility that the popular sitcom, now in its ninth and final season, could get a spinoff. "HIMYM" creators Carter Bays and Craig Thomas have teamed up with Emily Spivey ("Up All Night") to pitch a female-led version of the concept. The current version of "HIMYM" centers on Ted's (Josh Radnor) story of maturation and searching for love, as told in retrospect to his two kids and always involving his tight-knit circle of friends. The spinoff would also be a half-hour show about a group of close pals living in New York City, but zero in on a woman's journey to finding her future husband, potentially even featuring the familiar "HIMYM" locale, MacLaren's Pub. 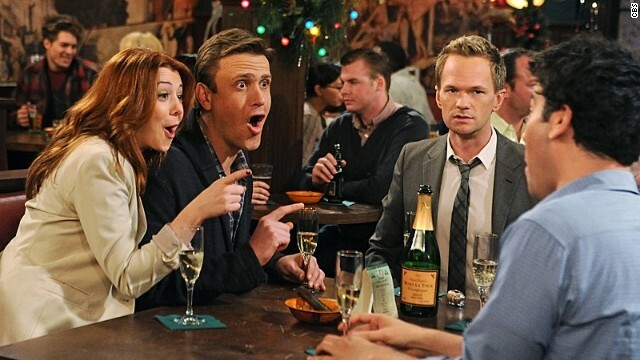 The premise of what's being referred to as "How I Met Your Father" doesn't have any connection to the original gang, according to Deadline. Whether you love or hate the idea is moot at this point, though, since talks are described as being "extremely preliminary." If this concept did get the go-ahead from CBS, there's a chance fans could be introduced to the new cast of characters during "HIMYM's" series finale. It is has a new cast of characters, then it really isn't a spin-off. A spin-off would be "How I met your kindergartner teacher" or "How I met our divorce attorney". And again Hollywood has no original ideas. FAIL! after the awful final season of himym why would anyone want to watch a spin off? seriously 7 weeks and still no wedding and we have seen 7 min. of the mother. way to screw over your fans. I am not watching again until the final episode if they ever get to one! I have had the same complaints about the final season. The writing seems dull compared to previous seasons and plot seems to have flat lined. 7 minutes (and still counting) of "mother" is better than just 7 seconds of "mother" at the very end of the series finale. Of course you idiots have to make it political. Crawl back to your holes trolls. Last night I dreamt that Sarah Palin went bungee jumping with a rope that was about 100' too long.